Juicy Apple E-Liquid -Bite into the taste of apple with Juicy Apple e-liquid. 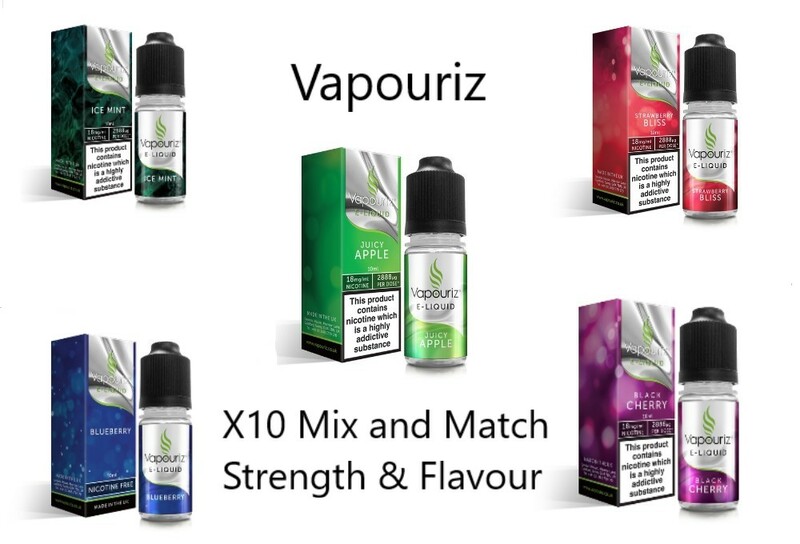 Fresh and crisp, this is a proper apple-flavoured e-liquid that bottles the full-bodied, rounded taste of apple - it's tart, tangy and mildly sweet. An enduring favourite of the vaping community! Berry Smoothie E-Liquid - Infused with the flavours of blended sweet and fresh berries, Berry Smoothie e-liquid is a truly a smooth fruity concoction! Black Cherry E-Liquid - Sweet yet dark, rich and luxurious, Vapouriz Black Cherry e-liquid offers a grown-up spin on the traditional cherry taste. Try blending it with Vapouriz Vanilla Velvet for an even fuller flavour. Blackberry & Grape E-Liquid - Refreshing and sweet, Blackberry & Grape e-liquid is bursting with the flavours of luscious blackberry and aromatic sweet grape. Blue Raspberry E-Liquid - Sweet and refreshing with just a hint of tang, Vapouriz Blue Raspberry e-liquid offers the fruity bite of a classic slushy. Blueberry E-Liquid - Formulated to a secret recipe to exacting standards, it's fresh and naturally fruity without being too sweet. If you're a blueberry fan and a vaper then you will love this e-liquid! Bubblegum E-Liquid - Remember fruity bubblegum from your childhood? Now imagine that in e-liquid form! Blended in-house at Vapouriz to a secret recipe, this Bubblegum e-liquid will tickle your tastebuds without the need to chew. Bubblegum delivers a fruity punch whilst providing you with a satisfying vape. 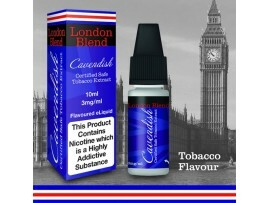 Classic Tobacco E-Liquid - Simply put - our best seller and most popular Tobacco flavour e-liquid. It's rich and smoky yet still manages to stay wonderfully smooth. We're proud to say that you won't find any harshness to this, just a pleasant all day vape that can satisfy with or without nicotine. Fruit Tonic E-Liquid - Fruit Tonic e-liquid is a medley of scrumptious fruits that have been expertly blended with a splash of tonic, which brings it all together to create its delectable flavour. 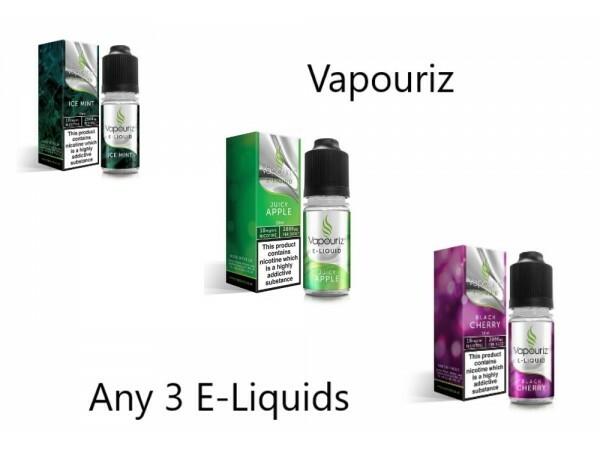 Grape E-Liquid - Aromatic and sweet, Vapouriz Grape e-liquid has a great depth of flavour for a taste that's as refreshing as it is satisfying. Ice Mint E-Liquid - Cool, clean and crisp. Ice Mint was created for those who like to keep things fresh. This Mint e-liquid tastes delicious in all nicotine strengths and is what we would call an all-day vape. It's got a great throat hit and enough bite to keep you coming back for more. 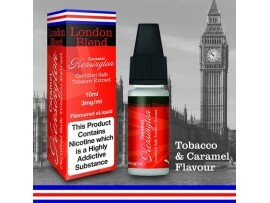 Menthol Special Blend E-Liquid - A classic Menthol flavour e-liquid with a Vapouriz twist. This provides an awesome throat hit without being overpowering. Fresh and clean, this is amazing on its own but great to mix with other e-liquids to give them a bit of pep. Try mixing it with various fruit or berry flavours and prepare to be blown away! 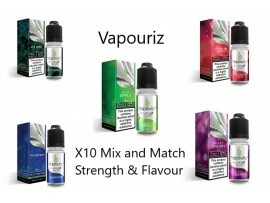 Millionaires Menthol E-Liquid - Outrageously cool, fresh and satisfying, Vapouriz spent nearly a year formulating its Millionaires Menthol e-liquid blend. Perfect for anyone who loves the Menthol Special Blend but wants something with an even stronger hit of Menthol - it's a powerful blast of cool, fresh taste. Raspberry E-Liquid - We're delighted to share with you this fruity, juicy delight! Vapouriz's Raspberry e-liquid is succulent, sweet and fragrant. It is so wonderfully mouth-watering that you'll forget you're even vaping! This flavour works well when paired with our other e-juices and is sure to be firm favourite amongst the fruit-ists out there. Why not combine with our mint or menthol flavours to add a little bite? Or you could add other fruit flavours such as strawberry to complement it's fruityness! Strawberry Bliss E-Liquid - Strawberry Bliss e-liquid by Vapouriz is fruity, sweet and refreshing. Forget the artificial sweetness of strawberry flavouring - Strawberry Bliss bottles the fresh, tart berry taste of ripe strawberries for a truly juicy vaping experience. USA Gold Tobacco E-Liquid - If you love the taste of tobacco and crave the famous flavour of 'lights' version cigarettes, this is the flavour for you. It's a fresh take on a smooth, golden all-American classic, offering plenty of great taste minus the harmful chemicals from traditional tobacco. 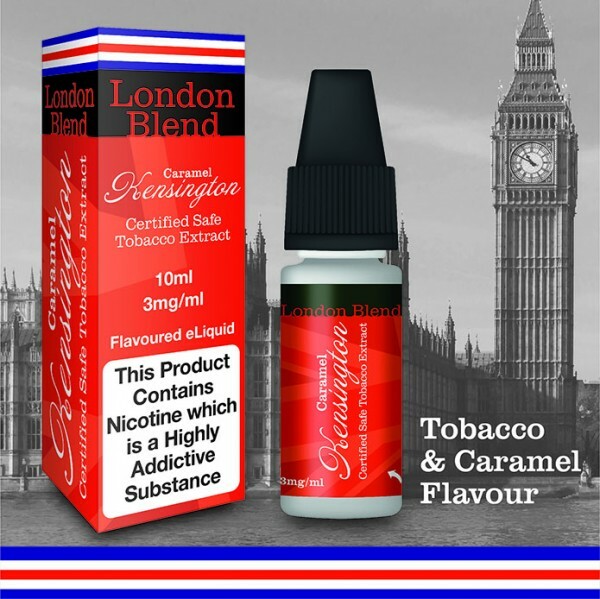 Virginia Tobacco E-Liquid - Loved by tobacco aficionados everywhere, Virginia Tobacco Flavour e-liquid by Vapouriz makes for a satisfying and smooth vape. Rich and smoky, this juice tastes just like the popular green and gold rolling tobacco.